No, this is not absolutely new. In fact this is just “another” SuppVersity articles on the anti-diabetic effects of cinnamon, but I promise it’s going to be the most comprehensive one. One that discusses the currently available evidence from human trials, as well as the things we know and believe to know about how cinnamon acts its anti-diabetic magic qualitatively and quantitatively. Before I even go into further details, though, I would like to address one of the “cinnamon myths” that says that only the highly expensive Ceylon or Sri Lankan Cinnamon would do the trick, while the commonly sold Cinamon cassia would be useless or even dangerous due to its high (and in fact toxic) coumarin content. Interestingly, all human studies have been done with the “cheap toxic stuff from the supermarket”. In view of what you are about to learn about its effects on blood glucose later in this article, the first take-home-message from today’s article is thus: “Cheap cinnamon cassia will work just fine as a blood glucose management supplement!” Unfortunately, long-term studies the safety of “common cinnamon” with its highly variable coumarin content (0.31 g = harmless to 6.97 g = potentially dangerous per kg raw powder | Wang. 2013 | see Table 1) are non-existent. 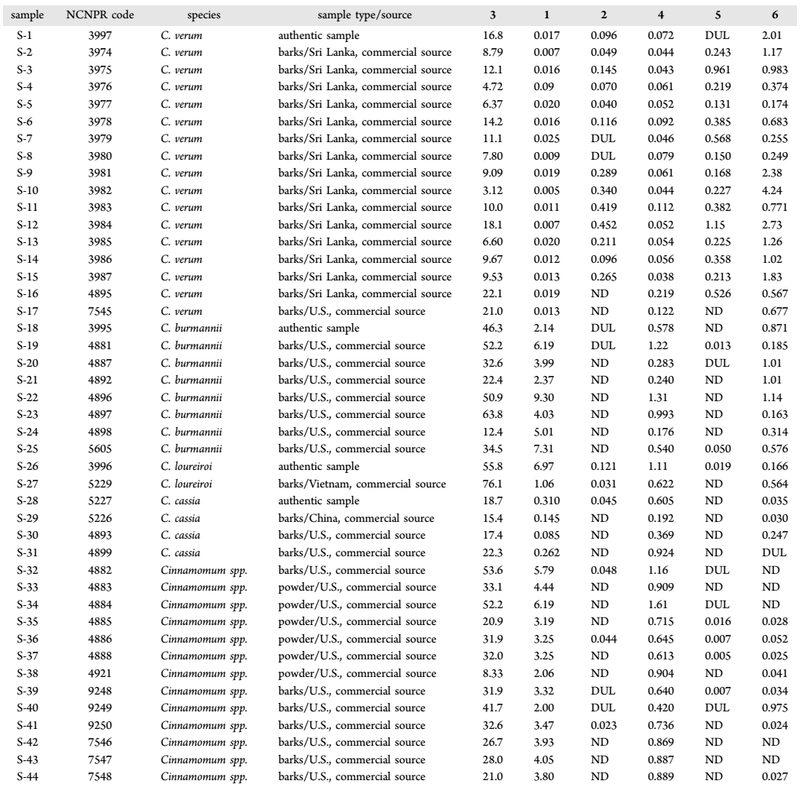 Table 1: Content of Coumarin 1, Cinnamyl Alcohol 2, Cinnamaldehyde 3, Cinnamic Acid 4, Eugenol 5, Cinnamyl Acetate 6 in Cinnamomum Species and Commercial Samples (g/kg) | DUL = Detected under limits of quantitation; ND = not detected (Wang. 2013). The only advise I can give you is thus to rely on supplements with standardized (low to non-detectable) amounts of this potentially carcinogenic substance (Wang. 2014) if you plan to take it regularly for years. Using the next best cinnamon powder from the supermarket next door on the other hand is probably not advisable even though some of the scientists who conducted the studies Arjuna B. Medagama reviewed for his (or her?) latest paper in Nutrition Journal (Medagama. 2015) probably did just that: Buy cinnamon powder from the supermarket next door to test its effects on blood glucose management in 40-days- to 4-months-studies in cinnamon-naive patients with (pre-)diabetes. If you take a closer look at the data, though, it becomes obvious that some studies used plain cinnamon powder, while others used regular or commercial water-extracts (CinSulin. Anderson). Effect of 6g of cinnamon on post-prandial blood glucose in healthy subjects (Hlebowicz. 2007). This hefty dose also slowed down gastric emptying and triggered non-significant increases in satiety in 14 healthy subjects after high CHO meals. What’s the optimal dosage? Even though the overview in Figure 1 suggests that “more helps more”, Anand, et al. (2010) observed negative effects on the liver of rodents at dosages that would tantamount to ~40g of cinnamon per day. Ok, I assume you already apprehended that this is madness, but in the world of fitness maniacs and mad bodybuilders I thought it would be worth mentioning that even the coumarin free Ceylon cinnamon appears to have ill side effects when it is consumed in extremely high dosages. It would thus appear to be more reasonable to target an intake of 3-6 g of cinnamon with every major meal (it slows down gastric emptying and reduces postprandial blood glucose, therefore it makes sense to take it with a meal | Hlebowicz. 2007, see Figure to the left). If you scrutinize the results I’ve plotted for you in Figure 1, you will notice that (a) the improvements in fasting blood glucose were significantly more pronounced than those of the long-term blood sugar maker HbA1c, that (b) the former appear to increase with the dosage that was used (Klan and Mang observed the highest reductions and used the highest amounts of cinnamon powder), and that (c) the reductions in HbA1c take time, i.e. several months and are not guaranteed, even if there are significant reductions in fasting blood glucose (cf. Belvins). 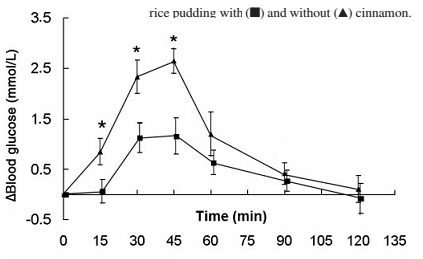 indirect effects that are brought about by the reduced rate of gastric emptying that will naturally slow down the absorption of glucose after a meal. 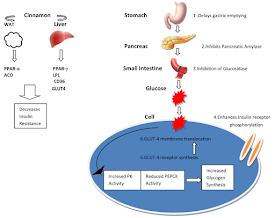 Figure 2: Molecular mechanisms of Cinnamon by which it exerts hypoglycaemic activity. (Medagama. 2015). So, what’s the verdict about cinnamon and pre-diabetes? As Medagama points out in the conclusion to the previously referenced recently published review, “oth true cinnamon and cassia cinnamon has the potential to lower blood glucose in animal models and humans” (Medagama. 2015). The problem is yet that we do not have reliable long-term safety studies for both, the problematic, potentially coumarin-laden regular cinnamon, as well as the expensive 99% coumarin-free Ceylon cinnamon, which has actually never been tested in human studies (rodent studies suggest that it works at least as well, though). Akilen, R., et al. “Glycated haemoglobin and blood pressure‐lowering effect of cinnamon in multi‐ethnic Type 2 diabetic patients in the UK: a randomized, placebo‐controlled, double‐blind clinical trial.” Diabetic Medicine 27.10 (2010): 1159-1167. Anand, Prachi, et al. “Insulinotropic effect of cinnamaldehyde on transcriptional regulation of pyruvate kinase, phosphoenolpyruvate carboxykinase, and GLUT4 translocation in experimental diabetic rats.” Chemico-biological interactions 186.1 (2010): 72-81. Anderson, Richard A., et al. “Cinnamon extract lowers glucose, insulin and cholesterol in people with elevated serum glucose.” Journal of Traditional and Complementary Medicine (2015). Blevins, Steve M., et al. “Effect of cinnamon on glucose and lipid levels in Non–insulin-dependent type 2 diabetes.” Diabetes care 30.9 (2007): 2236-2237. Crawford, Paul. “Effectiveness of cinnamon for lowering hemoglobin A1C in patients with type 2 diabetes: a randomized, controlled trial.” The Journal of the American Board of Family Medicine 22.5 (2009): 507-512. Hlebowicz, Joanna, et al. “Effect of cinnamon on postprandial blood glucose, gastric emptying, and satiety in healthy subjects.” The American journal of clinical nutrition 85.6 (2007): 1552-1556. Khan, Alam, et al. 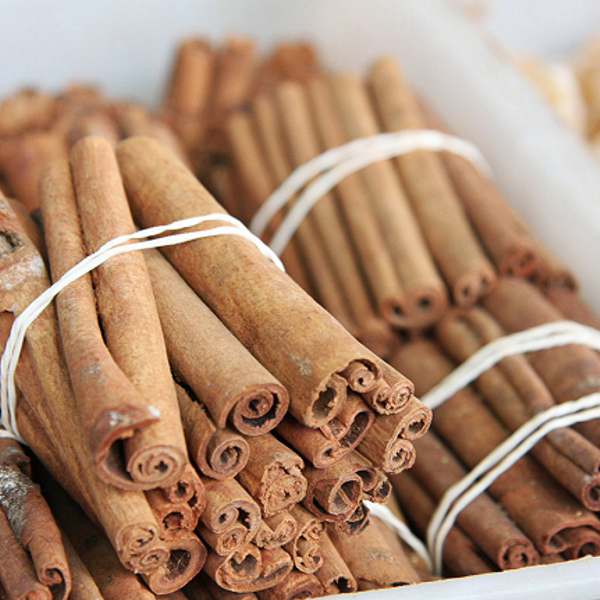 “Cinnamon improves glucose and lipids of people with type 2 diabetes.” Diabetes care 26.12 (2003): 3215-3218. Mang, B., et al. “Effects of a cinnamon extract on plasma glucose, HbA1c, and serum lipids in diabetes mellitus type 2.” European journal of clinical investigation 36.5 (2006): 340-344. Suppapitiporn, Suchat, and Nuttapol Kanpaksi. “The effect of cinnamon cassia powder in type 2 diabetes mellitus.” Journal of the Medical Association of Thailand= Chotmaihet thangphaet 89 (2006): S200-5. Vanschoonbeek, Kristof, et al. “Cinnamon supplementation does not improve glycemic control in postmenopausal type 2 diabetes patients.” The Journal of nutrition 136.4 (2006): 977-980. Wang, Yan-Hong, et al. “Cassia cinnamon as a source of coumarin in cinnamon-flavored food and food supplements in the United States.” Journal of agricultural and food chemistry 61.18 (2013): 4470-4476. Wickenberg, Jennie, et al. “Ceylon cinnamon does not affect postprandial plasma glucose or insulin in subjects with impaired glucose tolerance.” British journal of nutrition 107.12 (2012): 1845-1849.